The second session of the biennium of the Vermont Legislature got off to a bright and early start on January 3rd. That afternoon most committees were already conducting hearings on bills that were presented on the floor that morning. The House Natural Resources and Energy Committee, of which I am a member, began consideration of three bills. One of the bills, H.475, is a net-metering adjustment bill. It identifies some technical changes to the 2011 Vermont Energy Bill (Act 47) that was passed last year. The changes are needed to smooth out some unanticipated implementation wrinkles that surfaced since passage and to allow small solar installations of up to 10 kW in size to be permitted through a simple 10-day registration process, which is currently available for systems up to 5 kW in size. This bill passed the House last week and has been sent to the Senate. Another bill, H.468, is a starting point for a wide-ranging discussion on how to achieve more aggressive renewable energy goals of fighting climate change and growing a robust, green economy. It continues Vermont’s support of renewable energy development by expanding the Sustainably Priced Energy Enterprise Development (SPEED) program and by proposing a Renewable Portfolio Standard (RPS) for Vermont. The RPS sets a goal of having utilities obtain 80% of their electricity generation from renewable resources by 2025. This bill is likely to evolve significantly during the committee process, with details changed or refined as we hear testimony from various stakeholders. The third bill, H.485, pertains to solid waste management. Given that there are only two operating lined landfills in Vermont , and that one of them will reach capacity within 18 months at today’s rates of trash disposal, it is imperative that we divert as much material from these streams as we can. Vermont’s recycling rate has leveled off at around 32%. We can do a lot better than that. H.485 seeks to promote sustainable materials management, lessen Vermont’s reliance on waste disposal, and create a waste management system that promotes energy conservation, reduces greenhouse gases, and limits adverse environmental impact. 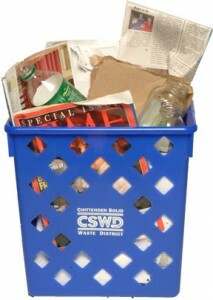 It will phase in, between now and 2017, mandatory recycling of common household materials that are now recycled on a volunteer basis, as well as leaf and yard waste, and “source separated” organic material from restaurants, schools, hospitals, etc. The latter material is better used for composting to return the nutrients to the soil than for landfill material. Other committees have also been hard at work. Appropriations worked long hours for several weeks to construct the 2012 Budget Adjustment bill. These adjustments are necessary to bring the budget into balance based on actual versus projected revenues and expenditures since July. Most of the changes are in response to the devastation of tropical storm Irene. 21 temporary positions were added to the Agency of Transportation and 17 positions were added to Health Access because of increased caseload. 12 more positions were added to other departments. Most of these positions will be filled by transfer of employees from other departments.